Binge drinking is defined by the National Institute of Alcohol Abuse and Alcoholism (NIAAA) as "drinking that brings blood alcohol levels to .08 g/dL." Binge drinking can have serious long-term health consequences and lead to other problems, including dependency and mental health issues. Browse data related to underage drinking in North Dakota. 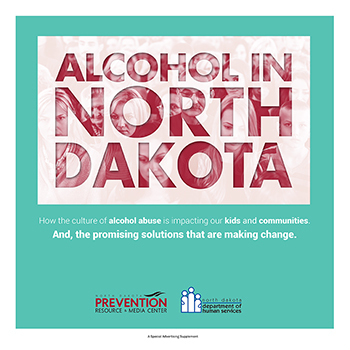 Speak Volumes is a North Dakota effort aimed at educating North Dakota adults on standard drink sizes, binge drinking and related consequences to help them make better decisions about their alcohol intake. Copyright © 2019 NDDHS. All rights reserved.